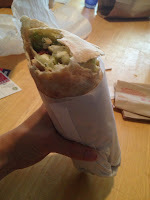 For years, I've heard how awesome Pita Deli is. It's time for me to give it a shot. Hope you're hungry, because this is no wussy pita. Thought you would have a small pita? They just don't do small. 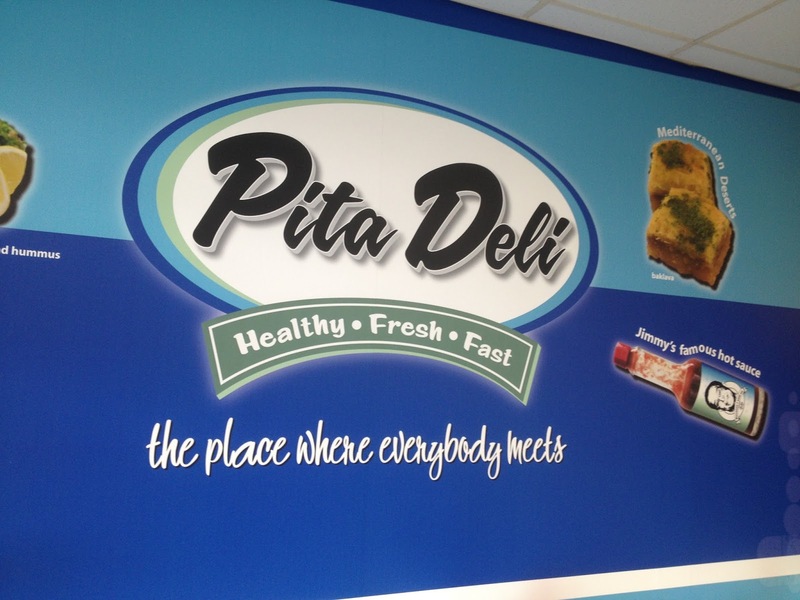 Going for the large pita? Heehee. Good luck! 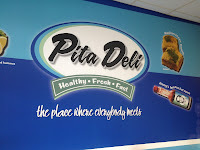 Pita Deli is a locally owned, family run shop. It has some seating, but it's more of a take-out place. It's ALWAYS busy. Now I know why! I love this place. The people that work there are fun and know their pitas. When they say the hot sauce is HOT, believe them!! All of the toppings are fresh and full of flavour. The prices are very reasonable. It's perfect for lunch or supper and you will NOT be hungry after. Saving room for dessert is not an option. Don't cook! Eat something healthy AND tasty! GO TO PITA DELI DAMNIT!